London has been in the grip of a heatwave this week, with yesterday the hottest June day since 1976! Yes it was 34 degrees, which is pretty hot in a city not keen on air conditioned housing or transport. My cool office has been my haven. I’ve never been happier to be there. London summer events are well and truly underway – the Glastonbury festival and Queens tennis tournament are both on this week. The highlight of my social calendar, however, was B’s half yearly scan results at the German’s Harley Street clinic. 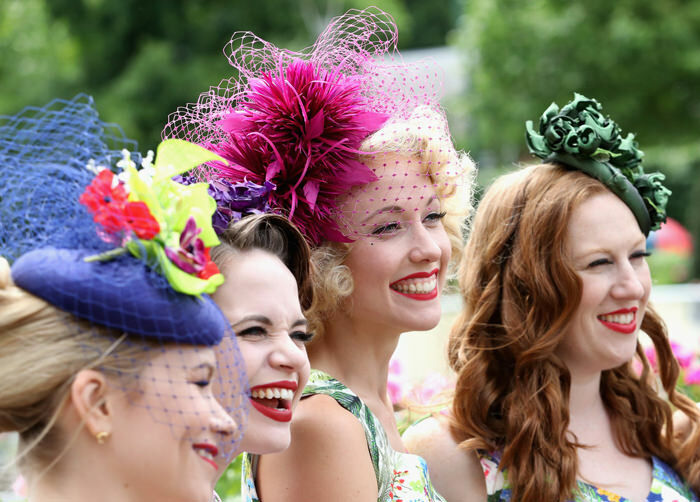 The fashion press is full of tips on what to wear to summer events like Royal Ascot but strangely silent on the issue of how to look your best at your premier medical appointment of the season. In the end I chose a simple dress (Hobbs), sandals and no hat. B was surprisingly relaxed in the leadup to this appointment. He’s been sleeping normally and hasn’t seemed anxious. He’s usually quite jittery prior to results day which is why I’ve noticed. Fortunately his casual attitude was completely justified because the scan did not show any activity in the residual tumour material. Compared to the scan from a year ago it’s completely unchanged. It’s also 5 years since the end of his radiotherapy and chemotherapy treatment, which is an important milestone in the brain tumour world. Even better, B can now choose to have annual scans rather than every 6 months, if he wishes! My eyes lit up at this news but he has chosen to stick with the biannual checks. I can understand why, although I joked to The German that I would very much like to see less of him. I don’t think he was offended. The AU news did take the micky out of the Poms about it being 34C 😉 Of course you’re right though – no one has a/c there. So pleased to read this. My partner was diagnosed with gbm4 almost exactly a year ago. He is doing pretty well, 2 scans showing no regrowth now. I have found your blog funny and inspirational. All the best to you both. Thankyou! I’m glad to hear your partner is doing well. I hope the b*stard tumour stays away for a long time.